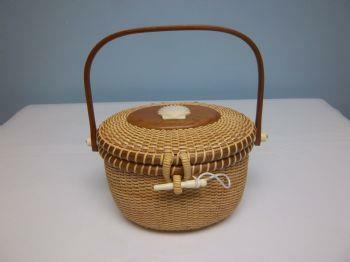 This is the perfect size Nantucket basket to use as an evening purse. It’s just big enough to hold a small wallet, lipstick, glasses and keys. The top of this evening purse may be adorned with your choice of scrimshaw carving. The inside lid will have a 2 inch ivory quarterboard, engraved with your name.